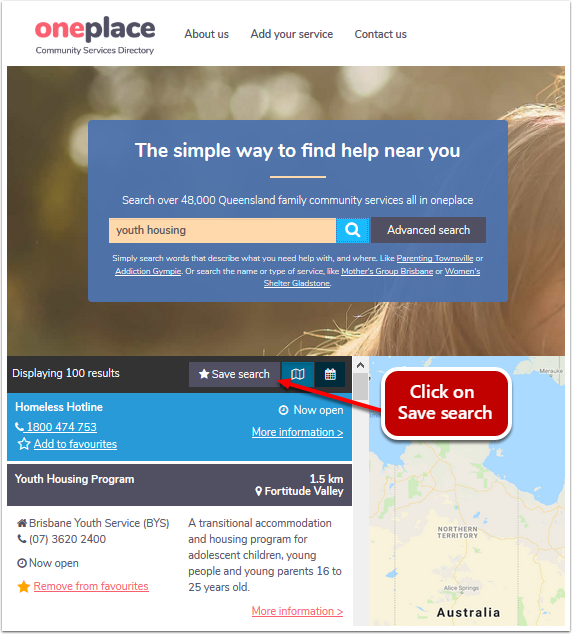 Logged in users of oneplace are able to add services, sites, events and searches to their favourites so that they can quickly perform these actions another time. Perform a search to find the service you would like to find. 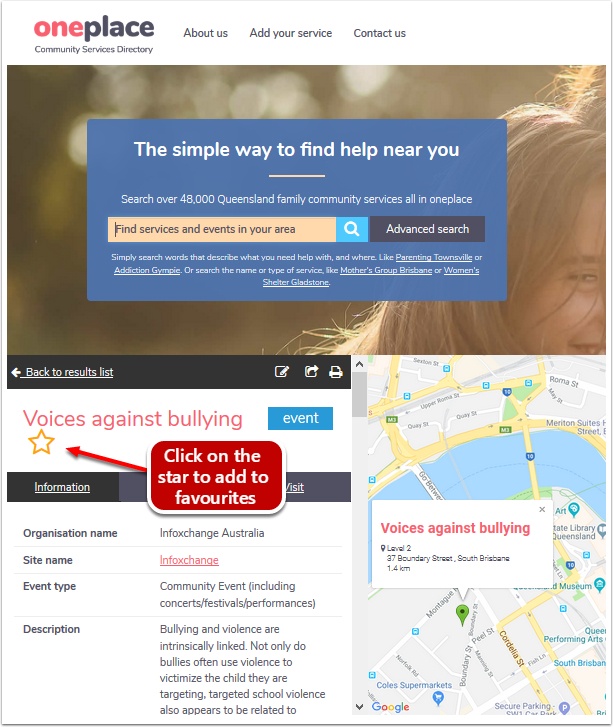 Click on Add to favourites in the search results pane of the service you want to save. 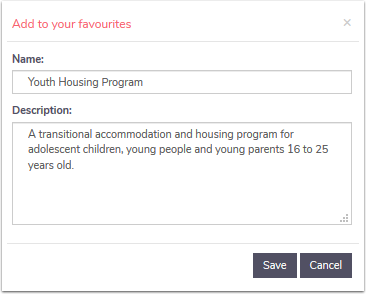 Complete the Add to your favourites form and click Save. 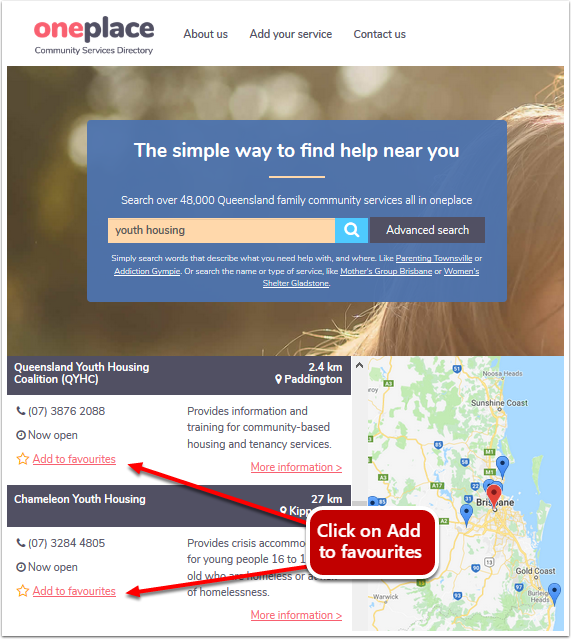 Perform a search to find the site you would like to find. 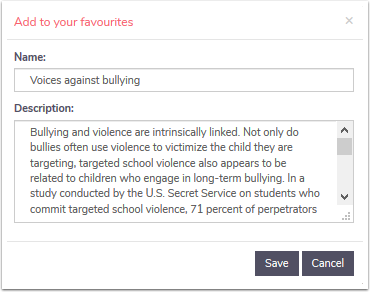 Click on Add to favourites in the search results pane of the site you want to save. Perform a search to find the event you would like to find. Click on Add to favourites star next to the heading of the event you want to save. 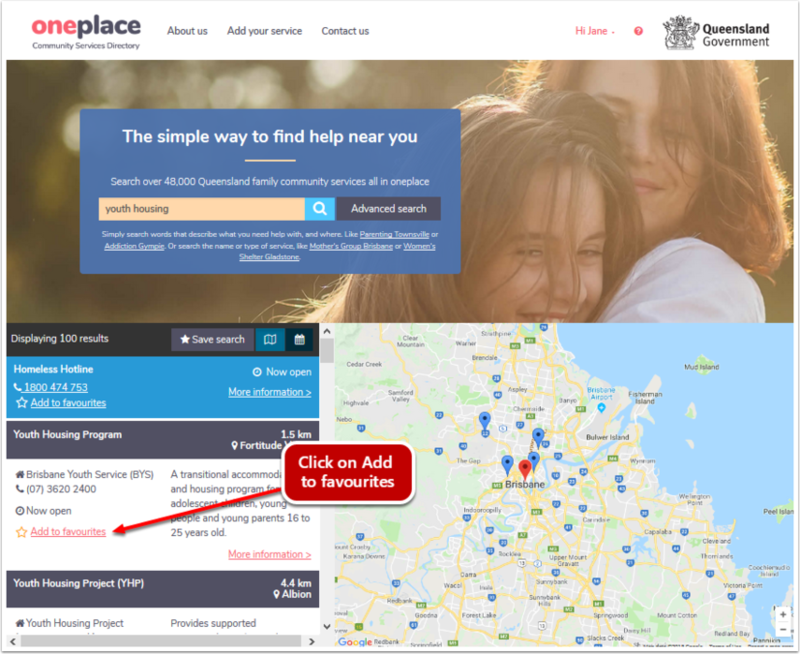 Perform a search to find the service, site or event you would like to save. 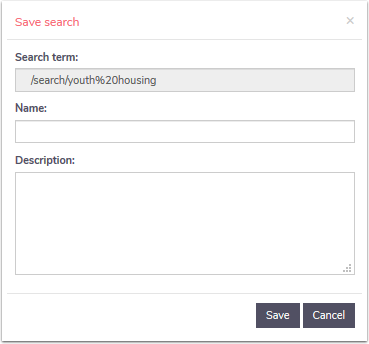 When the search results are displayed in the results pane, a Save search button will display in the grey section at the top of the search pane. To save the search, click on save search. Enter in the name of the search and any information in the description of the search. You can also Edit, Share or Delete a saved favourite (see the edit, share and delete section of this manual).